If you’re running a business that requires you to send out emails to customers regularly and keep them up-to-date with all the recent successes and updates, you certainly know about the pain of having to sit and write down the email and sending it to the whole email list. Even for those of you who haven’t started out but wish to, think about everything we just described but done automatically. The only thing you’ve got to do is to compose emails. But even that is not a problem as you can find email templates. Let’s dive into how you can automate everything and save time with Snov.io Drip Campaigns tool. Snov.io is an online service that allows you to run completely automated online drip email campaigns that help you grow the business by letting you reach out to customers and make sure they are aware of everything you have on offer for them. These campaigns allow you to send out different emails and set triggers and goals that help personalize the entire campaign to your needs. You can also allow yourself to set delays between consecutive emails so that your emails don’t get spam listed. What does it have on offer? 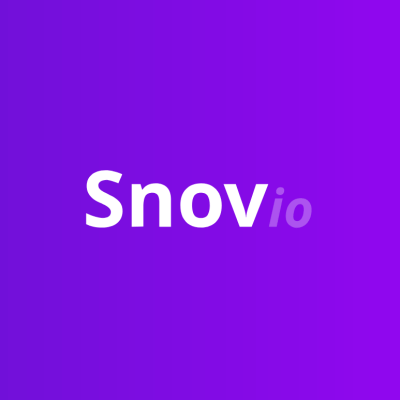 Well, Snov.io comes in with a bunch of exciting features to truly revolutionize what one gets by running an email drip campaign. Some of these features are highlighted in detail in the paragraphs below. With Snov.io, you have the ability to schedule and organize the work in ways you’ve never seen before. You can set custom schedules for emails that you send out. You can edit day and time the emails are to be sent and Snov.io will make sure the emails go out at the time you’ve specified. You can also add custom triggers and delays to the email sequence with the help of which you can further personalize the experience of the users and make them feel looked after, instead of feeling like you’re simply spamming their inbox. Personalized emails are always more likely to be opened and the CTR is always higher. Snov.io team knows that and they’ve added custom variables. You can add anything you need to the email, first and last name, company and position, location and pain point. The email will really look like it was created for that person particularly. With the detailed statistics, you will always be aware of how well the email campaign performs. This way you might want to change something for the better. Or vice versa, see what works great and what might be used in the future. Now that you’ve heard of some of the things that are on offer with Snov.io here’s a small tutorial on how you can quickly set up an email drip campaign using Snov.io. There is nothing complicated in building the email campaign. Let’s have a look at the process. Log in and go to the Email Drip Campaigns tab. Click the New drip campaign button. A campaign building editor opens. Choose the email account that will be used for sending emails, schedule the campaign, choose to which email addresses to send emails and to which not to send. With Snov.io, you can set up the campaign using the drag-ann-drop editor that makes the campaign-building process easy and quick. Take the necessary element, drop it in the field, connect to the previous one. Adding triggers and delays after the Email element makes sense. Below, there’s an example of the working campaign. Snov.io is a great service that users can personalize and optimize to their needs and make sure that their plans work best. By the way, the pricing plans vary and anyone can always find the one to satisfy the needs.